Duangtawan Hotel - Night Bazaar, Chiang Mai, Thailand - Great discounted rates! 7.8 out of 10 based on 10544 verified user reviews via Agoda. Set in a prime location of Chiang Mai, Duangtawan Hotel puts everything the city has to offer just outside your doorstep. The hotel has everything you need for a comfortable stay. Take advantage of the hotel's 24-hour room service, free Wi-Fi in all rooms, 24-hour front desk, luggage storage, Wi-Fi in public areas. Guestrooms are fitted with all the amenities you need for a good night's sleep. In some of the rooms, guests can find television LCD plasma screen, slippers, separate living room, internet access ?ÛÒ wireless, internet access ?ÛÒ wireless (complimentary). Take a break from a long day and make use of hot tub, fitness center, sauna, outdoor pool, spa. 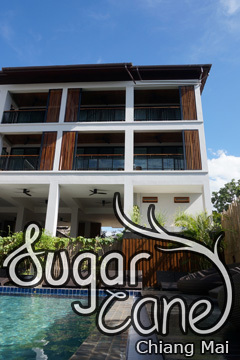 Duangtawan Hotel is an excellent choice from which to explore Chiang Mai or to simply relax and rejuvenate. For guests who book room with free airport transfer, in order to reserve the transfer, please inform the property of your arrival details upon completing the booking.,Airport transfer is available at no additional charge for guests who stay in Business Plus room and Junior Suite room only.,Airport transfer is available at an additional charge. Guests are able to contact the property after receiving booking confirmation.,The room rate on December 31, 2018 is inclusive of gala dinner. Duangtawan Hotel - Chiang Mai classifies itself as a 4 star hotel.